Originally issued in 2006 and long deleted, this collection (compiled by Keith Emerson) was a marvellous anthology of various recordings in Emerson’s archives. Keith Emerson’s work as a virtuoso keyboard player, composer and arranger for The Nice, Emerson Lake & Palmer is legendary. During his extensive career, Keith was never restricted by musical norms or classification. His music revealed the breadth of his musical influences, from classical composers such as Mussorgsky to Charlie Parker, rock & roll to The Band to Frank Zappa. 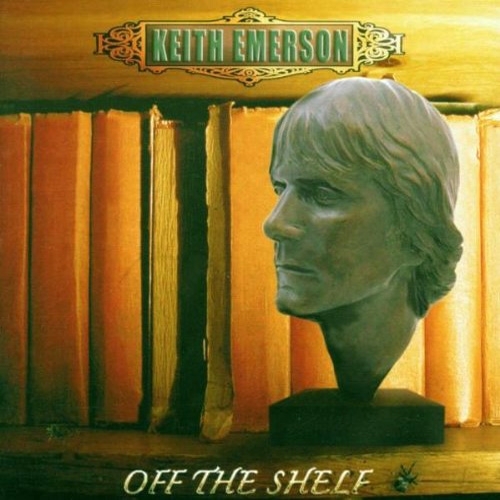 Off the Shelf was Keith Emerson’s means of revealing a collection of recorded works for various projects dating as far back as 1968 with The Nice, some of which were consigned to the archives for a variety of reasons and destined to remain unreleased until Off the Shelf was first issued. They feature recordings with the London Philharmonic Orchestra, the London Jazz Orchestra and legendary musicians including Levon Helm & Garth Hudson (of The Band), Aynsley Dunbar, Pat Travers, Cozy Powell and more.